Official Description: You’ve booked the trip of a lifetime: a cross-continental journey on The Breakout Express. As the train winds through beautiful countryside, news spreads of an uproar in the locomotive car. Radicals have taken control of the conductor’s cabin, planted explosives, and the train is racing towards a non-stop destination in the heart of the city: Central Station. Gain entry to the conductor’s cabin, stop the train, and free the passengers before time runs out. Can you engineer a last-minute escape? Difficulty (official): The front desk staff stated that it was on the difficult side, but not the most difficult room. Difficulty (experience): On the higher side of medium – we don’t recommend this as a first-time escape. 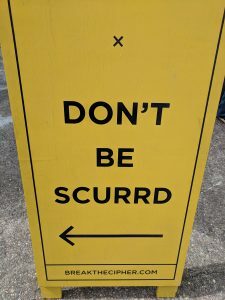 Review: While in the area for the Texas Pinball Festival, we found ourselves with more time to kill than we had originally planned for—so of course, this was a perfect time for an escape room! 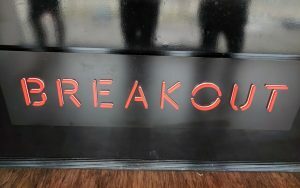 We decided on Breakout, which wasn’t that far of a drive from our hotel. The business is located on the second floor of a two-story shopping center and is well-marked. The lobby was divided into two halves, reception and waiting/post-game photos. While the surroundings were pretty sparse, the staff member on duty was extremely friendly and we spent our wait time chatting with her – she gave some excellent recommendations for more escape rooms the next time we’re in the area. All of the staff members we spoke with were extremely friendly and helpful – no complaints about customer service here. We were escorted to our train, which was a room divided into the train car and the conductor’s cabin. 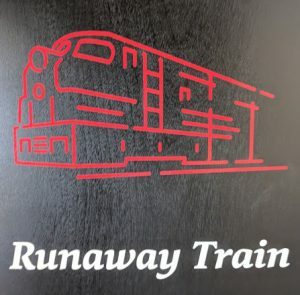 We were immediately impressed with the attention to detail in the room – there were three LCD screens which displayed different views of our trip through the mountains, and train announcements would go off on occasion over the rumbling sounds of the train on the tracks. There were points where the room really felt like it was moving! There were also plenty of small details that were integrated into the puzzles that fit into the idea of a luxury train through the country. We were especially fond of the conductor’s intercom having its cord cut by the villians – that was probably our favorite small touch. The puzzles themselves were fairly streamlined and logical, but they had enough processes and steps that while we were usually working on one puzzle at a time, there was enough work to do that it didn’t feel like we were being bottlenecked. There was one particular puzzle which we were warned beforehand could result in several unnecessary steps, which thankfully we realized before too much time had elapsed. That puzzle was actually a clever bit of logic, but it required the same meticulous attention to detail that all of the other ones had. Overall, we had a fantastic time! We loved the last-minute reveal; the room designers had done a great job disguising it. The room had something for everyone, although I did feel it was a bit heavy on mathematical puzzles. As we wrote earlier, this is definitely not a room for a first-time escape, but veterans will find it enjoyable. Hints Used: We didn’t need to ask for any, but our room operator did nudge us to locks that we had already discovered the solutions or keys for and hadn’t put them in. Clue Quality: There were several very clever clues in the room, including ones that we simply thought were flavor until we stumbled across their puzzles. They did a great job at keeping the laminated sheets to a minimum. Puzzle Creativity: While I still groan at the amount of math, there was a lot of thought put into the puzzles, and I loved the solution to two of them in particular. There were several different types of puzzles to challenge a variety of skills and thought processes. Fear Factor: Low. No major scares. One intense moment. Things to note: This business is on the second story of an outdoor strip shopping center. The stairs are near the establishment and there are elevators on the far side of the building. Official Description: He said he’ll be back in 60 minutes. That’s when your game is over, and his “game” starts. He’s even started a timer to torment you. As you watch the last hour of your life slowly tick away, your mind races as you ponder all of the horrifying things about to happen at the hands of this…person, this…monster. How are you are going to spend the time you have left? You can cry. You can pray. You can write a goodbye letter. You can scream for help. Or you can ESCAPE! Difficulty (official): Our operator told us this was their most difficult room. Review: The Houston Arcade Expo had come and gone, and our group wanted one last hurrah before heading back home – so why not do an escape? Cipher’s signage wasn’t easily seen from the road, but the building is pretty easy to find thanks to the bright yellow artwork on the exterior. The lobby area is large, but was pretty empty compared to the other escape businesses that we’ve visited previously. —and then we walked into the dungeon that would seal our fate. The room is divided into two sections—the jail cell and the torture chamber. Cipher clearly had a lot of fun devising the decor in both areas, and filled the room with props that made the room feel more real, such as items belonging to different victims. The jail cell encompassed a small area of the room, and while it wasn’t crowded in the room with just the four of us there were just enough puzzles in there to keep us all occupied until we managed to open the second area. Had our group been much larger, though, this area might seem a bit spare with tasks to accomplish and could begin to feel claustrophobic if the upper room limit of 12 players is met. My memory gets a little fuzzy with the torture chamber, as two of us were focused on one time-consuming puzzle while our other two team members solved most of the new area. They did report that there were a couple of particularly clever puzzles, and one particular prop interaction fit perfectly into the room’s atmosphere. We were disappointed that the puzzle that we were attempting (which required two people to complete) took up so much time, and our room operator told us afterwards that puzzle was a sticking point for most groups. This was the first time we had a room operator deliver hints in-character—the creepy Madame DuBois would call into the room regularly to taunt us or offer advice to help the room move along. She had an impeccable sense of timing and never gave us much of a hint unless we asked for clarification. She did, however, easily dispense insults and aggravation onto our group. Ultimately, we were able to reason out one clever and well-integrated puzzle to make our way out of the serial killer’s lair before we met our demise. Hints Used: We called in for hints on two occasions. Our hints were clear and easy to follow, but didn’t include so much information as to spoil the puzzles. Clue Quality : The clues were delivered in very creative ways, and it gave us an insight into Madame DuBois’s twisted mind. There were a couple of clues that felt too vague, but then fit nicely into the solution. Many revelations in the room brought excitement to our group despite the macabre tone of the escape. Puzzle Creativity: The puzzles had many elements that we hadn’t seen before – no worksheets or overly-complicated direction puzzles were present. While we did get stuck on one puzzle for a very long time, the execution of it was very creative and one prop interaction in the room is delightfully twisted. Fear Factor: Mildly intense themes, includes a few moments that could be upsetting for young children. We recommend participants be at least thirteen. 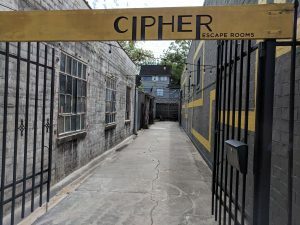 Things to note: There is no dedicated parking lot for Cipher and the escape room is across the street from an extremely popular cafe making parking on the main street difficult. Parking is allowed in the neighborhood around the business but may be hard to come by, especially during brunch hours on the weekend. Plan to arrive early just to ensure you can park and walk to Cipher on time. Official Description: You just started your dream job as a magician’s assistant. Tonight is his big show and he’s depending on you to set up the stage. As you enter the Prop Room, the door slams shut…and locks behind you. The show starts in an hour. Your dream job is on the line. The crowd is taking their seats. Will you find your way out in time? Review: My birthday rolled around again, and this time we found ourselves at Escape Haus! I was looking forward to this experience and hoping that we would find a room that was more entertaining than their Library of Secrets. The room was decorated as we have come to expect from an Escape Haus game: many thematic accouterments around the room and room-appropriate wall hangings sold this as a prop room , though it lacked the detail we’ve come to love in some of the larger chain establishments we’ve escaped recently. We loved the giant trunk and the ‘saw the lady in half’ box made a great centerpiece. The handmade pieces in the room were the more striking elements. However, there was a lot of red herring decor, particularly on one side of the room. There were a couple of moments of clever puzzle solving that we all enjoyed and we were happy to find several unique key locks in this room instead of more modern Master Locks across all of the puzzles (though, as with all Escape Haus rooms, there were a few). This proved to be the game’s high point as we encountered novel locks and an unusual one that we had not seen before. There was a slightly obtuse puzzle that frustrated us for quite some time and we stumbled across the answer, but chose to confirm it with our Game Master to prevent a lock that might timeout from impeding us any further. The puzzle wasn’t impossible, but our excitement at its completion may have been more relief than delight. This room, as with many at this location, suffers from a ‘wall of locked boxes syndrome’, however this wasn’t as extensive as the wall of boxes in Egyptian Mysteries. We still would have preferred the locked boxes to be placed around the room instead of bunched together in one section. We really enjoyed a blacklight puzzle in this room, but when talking about the room afterwards, couldn’t really think of a puzzle that stood out as being really creative. Certain puzzles upped their difficulty by not being friendly to anyone with poor vision. There was also some outside knowledge required (which can be somewhat controversial in escape room communities). While we had a great time going through the room, I don’t count this one as a standout. We were missing a magical element in our magic room that we very desperately wanted to see. This room could be easily rethemed without changing many of its puzzles and this is likely the room’s biggest downfall. 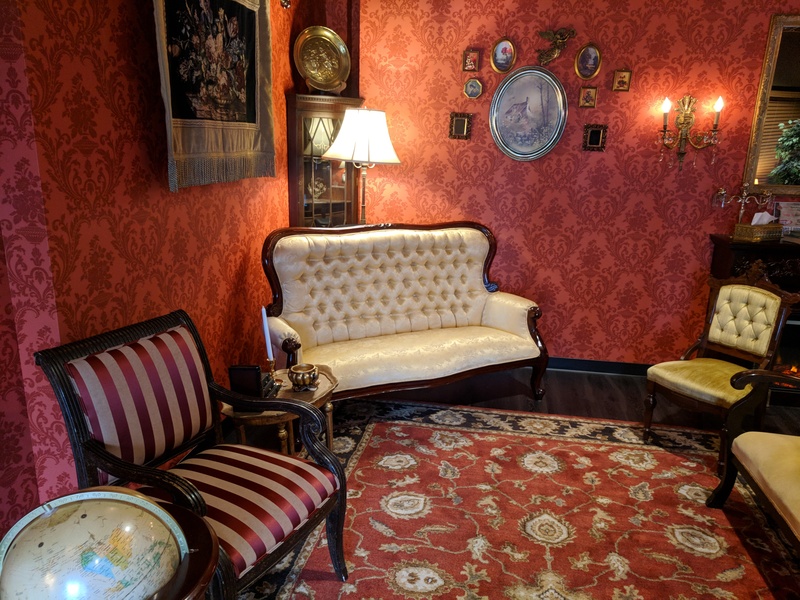 This may be a great room for someone’s first escape room experience, or to introduce new players to the hobby, but Egyptian Mysteries remains my top recommendation for Escape Haus rooms. We do want to give a shout out to our Game Master, who remained quiet and unobtrusive until we asked for her help! Hints Used: One for an actual hint, one for clarification on a lock. Clue Quality : Variable. We found one to be particularly clever, some were more direct, and a couple of others were just muddy. Puzzle Creativity: A lot of escape room staples here; creativity was more focused on the unusual locks. Things to note: Several puzzles in this room would be difficult to individuals with poor vision. Official Description: For years there have been rumors that the city’s trusty and seemingly innocent subway system has a darker underbelly – it is home to a number of notorious crime gangs. It’s now time to put these rumors to rest! Acting off a tip that a now closed subway line could lead to a coveted hideout, you and your highly trained team decide to take matters into your own hands and begin an investigation of an abandoned station. Will you take the fast track to deliver justice or take an unexpected detour on the way? Difficulty (official): Our host stated that this is the harder of their two rooms. The website lists its official difficulty as 7.5/10. 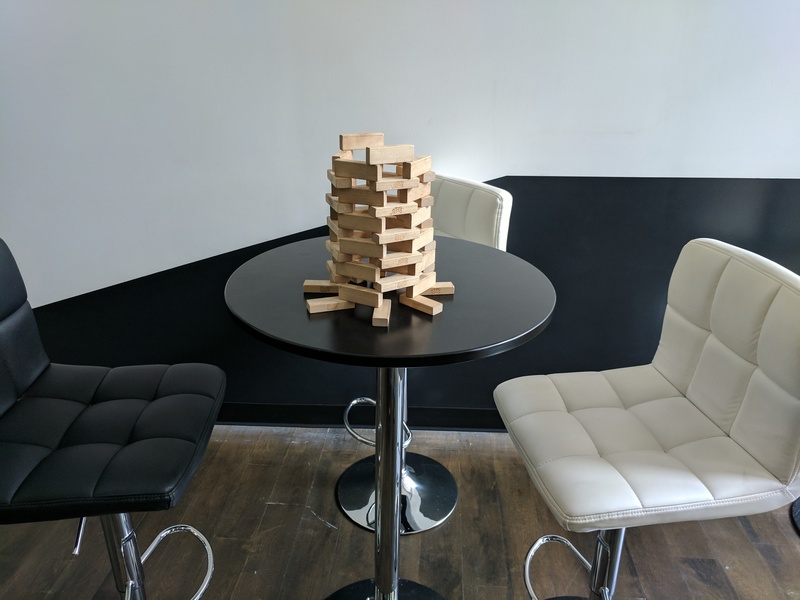 We finally had the time and money to do a new room, and our Escape Room RNG pointed to Project Panic, an offshoot of Austin Panic Room and one of the newest escape experiences in Austin. The location was easy to find (signage for the location is on the glass, not the building itself) and had a small parking lot attached behind the building. We were very thankful for this; parking in Austin on the weekends can be difficult, and pricey, in some locations. The new location is brightly lit and welcoming, however there were AC issues on our visit which made us somewhat uncomfortable. Our game master greeted us immediately and gave a simple but funny explanation of basic game rules before leading us into the game space. We’ve played a game from this same company (last year’s Cabin Fever), and like Cabin Fever, this space outdid themselves in decoration. The room is divided into station and subway, and they did a great job creating a derelict station with a cleaner subway car. We really appreciated that the decorative touches all fit seamlessly into puzzles, nothing seemed forced or out of place. End of the Line is notable for its use of technology; all wires were hidden and puzzles that dealt with technology use were integrated extremely well into the room. This was particularly noticeable with one late-game puzzle on which we all enjoyed working. While the room was very linear, which can cause problems with a large group, there were enough puzzles that needed to be worked on simultaneously that everyone was always busy. The room was very teamwork oriented; each puzzle had at least two people attempting to solve it. 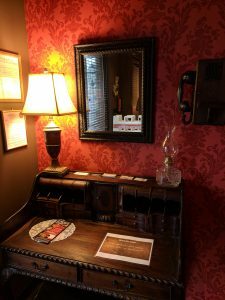 We were happy that while the room had several escape room staples, they included clever twists. This is one of the few rooms where I’ve had to wait to find all the clues before finding answers. The biggest drawback we felt was the theme implementation. Without giving too much away, we felt that the premise of the room really wasn’t executed well and the experience ended abruptly without really addressing the scenario again —changing the premise to an urbex adventure or a secret subway could add more to the theme. Hints Used: Three unprompted (one due to a slight technical failure) and one verification of a “Do Not Touch” sticker. Our host was excellent in his hints; he managed to keep us on track without giving us answers. Clue Quality : Clues within the game were worked extremely well into the room, only one screamed out as an obvious clue. Puzzle Creativity: Puzzles were very clever, and while we recognized a couple of pathways from having done several rooms and being puzzle hounds in general, there was enough different about them to keep them interesting. Fear Factor: None, a few moments of very mild intensity. Things to note: There are several light and color puzzles, colorblind players should probably avoid this experience. Official Description: The Play House takes place after hours at your friendly neighborhood daycare… but once the lights go out, things may not appear as they seem… Dolls, toys, and puzzles are fun to play with, but what if they decide to play with you… You and your team will have 60 mins to solve the puzzles and escape before you become just another toy in… The Play House! Difficulty (official): Not stated. We were told that it was not their most difficult room. Difficulty (experience): It is definitely the most frustrating room we’ve played. Time to Escape: Did not escape. We were excited to try Escape Space’s newest offering, especially after thoroughly enjoying The Endorsement. Instead of the decent quality of our previous escapes here, we were led into a tiny, haphazardly-slapped together room that resembled less of a ‘daycare after dark’ and more of ‘child’s bedroom after playing because he’s too young to know how to put away his toys.’ There was very little airflow in the room, and despite Texas being in a cold snap, we were sweating buckets after an hour in there. Escape Space has had problems with airflow in rooms, but this was the most noticeable. The room was very tiny (smaller than my shoebox apartment in Tokyo), which made it difficult for two adults to maneuver around the furniture and solve puzzles at the same time. We had two already-opened locks, a lock so old and used that the letters were unreadable, and technical issues that, combined with the vague and sometimes misleading nature of the clues, led to an unpleasant experience. The main puzzle was creative in its execution, as was one of the early puzzles. However, we spent most of the time sorting through the props in the room to find clues and puzzles than we did actually solving. When we asked for clarification on a puzzle that we were unable to solve at the end of our game, our operator gave off the impression that they did not seem to understand the solution either. Hints Used: Too many. Our operator was also pretty clearly reading from a walkthrough -we’d ask for help on one puzzle, she’d direct us to something else that needed solving instead of what we were doing. Clue Quality : Low. Some clues were clever, however one in particular cost us quite a bit of time due to its misleading nature. Puzzle Creativity: A couple of standout moments, but mostly run of the mill. The unreadable lock was a huge stumbling block – it’s hard to put in a word when the letters are almost all completely worn off. Rating: 2/5. Come on Escape Space, we know you can make some really fantastic rooms! Things to note: This room takes place entirely in the dark and provides little room to maneuver – this is not a room for someone with mobility concerns. Escape Space San Marcos is currently running a Groupon for reduced price games. Official Description: Welcome to the office of Aaron Brown, the world’s leading endorsement consultant. What’s an endorsement consultant? Let’s just say he can take a group of average Joes and Janes like yourself and give you fame and fortune beyond your wildest dreams. Bottom line is that this guy has the secret to making you and your team a legend, and his track record proves it. Aaron’s family has been in this business for years and he has been kind enough to offer you the same test he has offered all of his clients. Escape his office and he will give you the key to your wildest dreams. Can you and your team live up to the challenge, or will your defeat lead to more than you know? Difficulty (official): The employees told us that this is their medium-difficulty room. 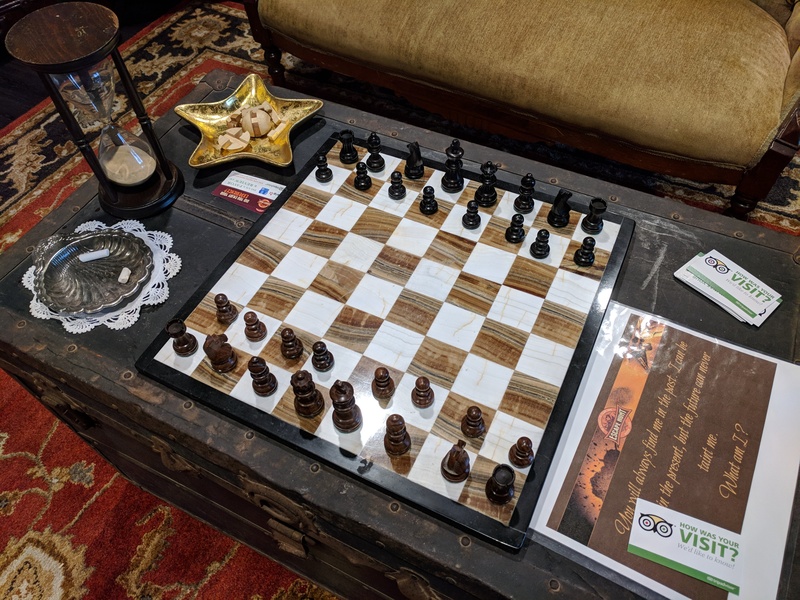 Review: We had previously played their easiest room, Silicon Valley, at their old location and we had discussed coming back to experience the other rooms they had to offer. We had reservations about booking the room because of several copy errors in the room description making us question the attention to detail in the room itself, however, we agreed we had an enjoyable experience in Silicon Valley and decided to take advantage of their Christmas special to bring a larger group to play (including a new player). We had difficulty finding the new location, but only because of assumptions that our driver made getting to the escape room. Following Google Maps will get you to the room with no issue. Despite our own issues we still found the new location with time to spare. We were all warmly welcomed and were impressed again by the level of customer service. The two staff members were happy to answer all of our questions and invited us to try their wheel of chance (which could add/remove time off our clock, give us an extra hint, or provide prizes – our group declined). We were then shown to our room for the night. The first thing that we all noticed was the size of the room—it was quite tiny. We were concerned about the number of puzzles that could be present in such a small room, but went ahead and started trying to uncover the office’s secrets. Despite its size, the ambiance of this office was much more detailed than Silicon Valley. There were general office accoutrements present that we had missed—coffee mugs, photos on the walls, knickknacks, etc. that added a more realistic touch—in the previous room. We had fun exploring the smaller details, particularly in the second act. While there weren’t a large number of puzzles, the variety included set piece manipulation as well as standard lock boxes and mental puzzles. We all found puzzles that catered to our strong solving points and had fun surprising each other with hidden talents. One puzzle did suffer from technical failure—we had solved it correctly, but the staff had to intervene and ask us to try again. 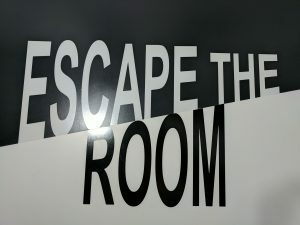 We did feel that one particular set piece was under-utilized and could have been more involved in puzzle-solving, but overall many of the items in the room were a part of the escape. After 46 minutes in the room, we were able to piece together the solution to the room and escape (with our first top spot on a leaderboard). 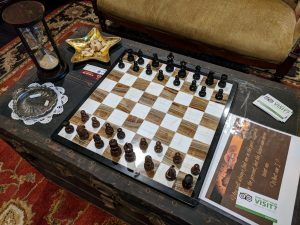 Overall, Endorsement is an enjoyable puzzle room that embodies the home-grown aspect that we’ve come to love in escape rooms in small cities. We were excited to learn about their newest build and are eager to try it once it’s ready to go. Hints Used: Two unprompted (one for technical failure; one to alert us to our next puzzle, the location of which was less than obvious). Clue Quality : Clues were cleverly presented, but were not obtuse or vague. Puzzle Creativity: There were a few standout puzzles in both acts, including one that we all agreed had a fun solution. Fear Factor: No real fear factor, however there are some darker themes. Things to note: Escape Space has limited parking, carpool if possible. This room has a low-light sequence that may impede those with poor low-light vision. Escape Space runs frequent promotions on their Facebook page and often has Groupon discounts. Our Group Size: 9, we recommend as many as you can get. 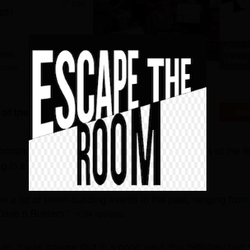 Official Description: The most realistic Escape room in the U.S. patterned after the Apollo 13 Lunar Mission that has been called ‘the successful failure’. You and your team will be awed by the realism and fun of this escape room. Working under pressure, your team will need to help your astronauts return home safely from space. You have 60 minutes to save the crew. Difficulty (official): We were informed that this is their hardest room. Difficulty (experience): They weren’t lying. 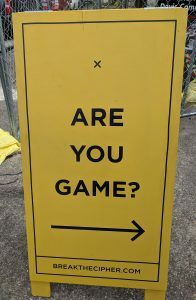 Review: We were in Houston for the Houston Arcade Expo, so of course we had to experience an escape that the city had to offer. After a long day of driving and pinball madness, we headed to Escape Hunt. We’re not that familiar with the city but were able to find the building easily. 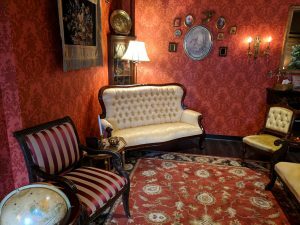 Escape Hunt’s lobby is reminiscent of your grandmother’s parlor, the one that you weren’t allowed to sit in unless it was a special occasion. We were greeted almost immediately and found the staff members to be extremely polite and friendly. Prior to entering the room, we were told the story of how the room was built to mirror exactly how Mission Control looked during the Apollo 13 mission, with the puzzles mimicking the challenges that the astronauts faced. We had read the incredible Ars Technica article about the authenticity of the room and were even more excited to experience an escape that wasn’t quite an escape (and while we both survived, our friends weren’t so lucky). 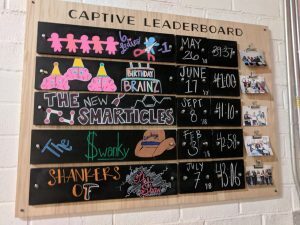 The room’s set design is incredible, and the use of vintage electronics and early 70s touches (such as cigarette props and a chalkboard instead of a whiteboard for puzzles) showed its commitment to providing an authentic atmosphere. Escape Hunt took great care in this room to conceal more modern wiring, and necessary items such as the countdown clock were built into the consoles. We kept discovering little touches in the room that made it all the more fun to experience. The room is divided into Mission Control and the space shuttle, and once the astronauts enter the shuttle, communication can only be done by one person from MC. The rest of us were tasked with solving various puzzles and tasks to try and get our astronauts back on Earth. Seeing as the room is more of a simulation than an escape, this is definitely a room for the more math and science-inclined as the puzzling leaned more towards analyzing and logic than codes or wordplay. I still had a great time in the room—the puzzles were linear but there was enough of them that we could all work on something except for one bottleneck. Communication is absolutely key in this room – potential players should make sure that they are with an experienced group who clearly and concisely communicate their actions during the game. The game is less about puzzles and more about time management. You failed to save the astronauts. Wouldn’t you prefer a nice game of chess? Hints Used: Two – one for a puzzle, one for what we thought was technical failure. Clue Quality : Clues were easily present, there was little searching needed. They were presented in a manner that explained the next steps in the puzzles, but were vague enough that they required critical thinking to understand. Puzzle Creativity: Most of the objectives weren’t necessarily puzzles – a step-by-step plan is presented immediately upon room entrance. 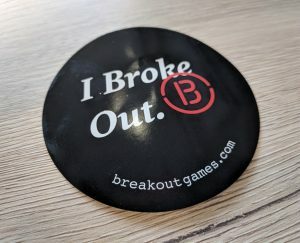 The objectives fit incredibly well into the room; there were no anachronisms that pulled us out of the room for the sake of adding puzzles to the escape. Rating: 4.75 – Aside from some frustrations with certain puzzles, we all enjoyed the experience and recommend it to Houston players. Fear Factor: None outside of the horrible dread of reaching the hour mark and realizing you just killed all your friends. Things to note: There is no parking lot at Escape Hunt, street parking is available. We would not recommend this room for children under 13 due to the difficulty of the puzzles. Certain areas of the room required physical agility (such as crawling). As of this writing, Escape Hunt does not have a Groupon available. Official Description: Black Bart, the Dalton Gang and Butch Cassidy and the Sundance Kid all were famous for their daring robberies. Now you and your accomplices have 60 minutes to make the biggest score in history. Do you have what it takes to join the notorious? Difficulty (official): The staff stated this is their easiest room. 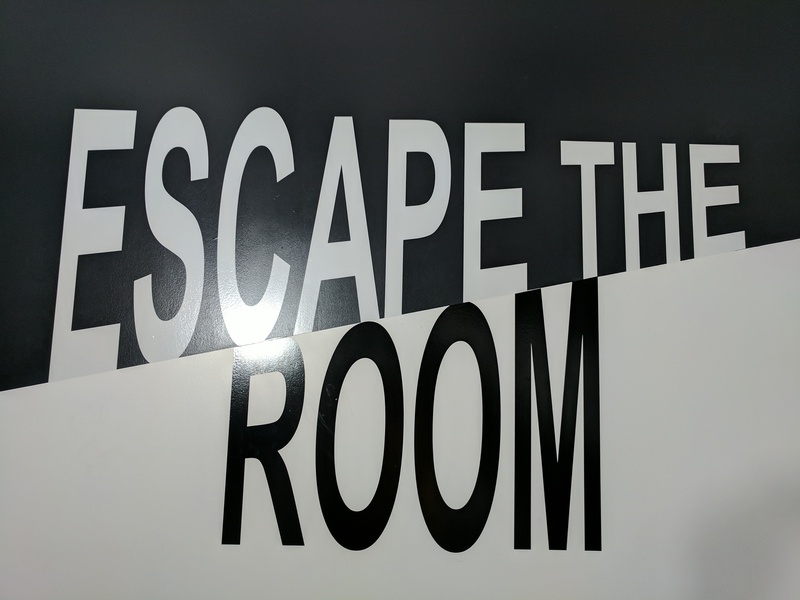 Review: We had been excited to do this room after a friend recommended trying Escape the Room, as the photographs on the website showed that the room was richly detailed. As we knew we would have a large group, we chose this room in particular due to the space we saw in the aforementioned photographs. …well, no one, actually. We assumed that the staff was busy setting up the room as it was the first of the day, so we tried to amuse ourselves with the available time-wasters (which consisted of board games) in the lobby. As our group trickled in, the front desk staff finally appeared, but didn’t greet us or seem to acknowledge our presence until immediately prior to the game starting. She was quite friendly and helpful, however that first interaction soured us a bit on their customer service. The room matched the website photos perfectly; there was a lot of care and thought put into it to make it feel like a bank in the Wild West. 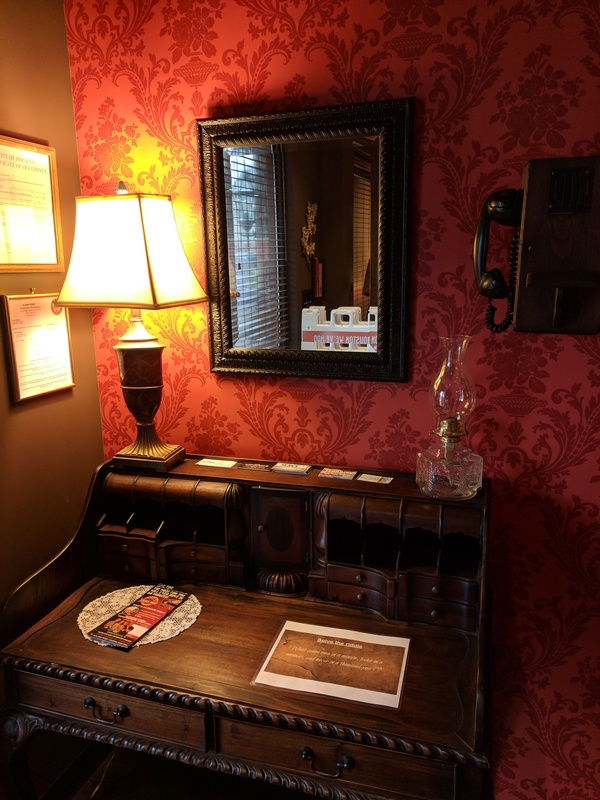 We appreciated all of the decorative touches, such as the antique safe and the wanted posters on the wall. These and other fun surprises in the room contributed to a full immersion in the room’s theme. Unfortunately, we can’t quite say the same about the puzzles. The room is very linear, and we kept running into bottlenecks with such a large group as there was only one puzzle to really work on at a time. The inputs really didn’t follow any logical thread, and we wasted a lot of time trying to find inputs for codes and where each code went. We’re not fans of just guessing at the answers to puzzles, and we felt this was more of a brute forcing game than a puzzler’s game. 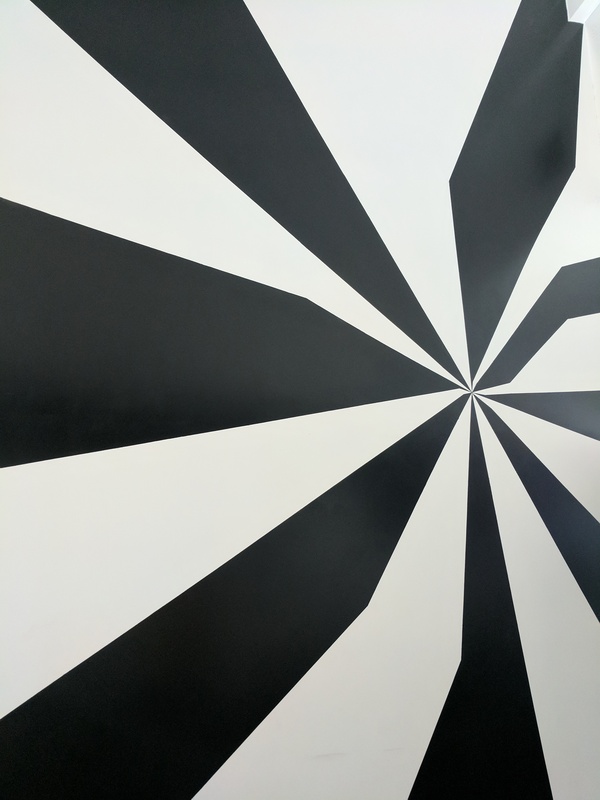 We would still like to go back and see what other rooms are on offer, as we were told that the other rooms at this location are more puzzle-based and not as linear. Hints Used: We asked for two or three, but were given several unprompted as is the room’s policy to keep players on task. Clue Quality: Clues were delivered via video, monitor, and microphone. We received the same hint several times, which caused frustration. The clues felt muddy and hard to follow at times. Puzzle Creativity: Most of our praise for the room comes from the visual aspects and small surprises that came when solving a puzzle, but the puzzles themselves weren’t incredibly memorable. Things to note: Escape the Room San Antonio does not have a dedicated lot, but there is a paid public lot behind the building and some street parking, though the road is busy. Western Bank Heist is family-friendly. As of this writing we did not see any advertisements on Groupon.